Whether you love ’em or hate ’em, candy corn is a fixture of the candy aisle during the Halloween season. I happen to fall on the “pro candy corn” side of the issue and enjoy both snacking on them and including them in seasonal treats. 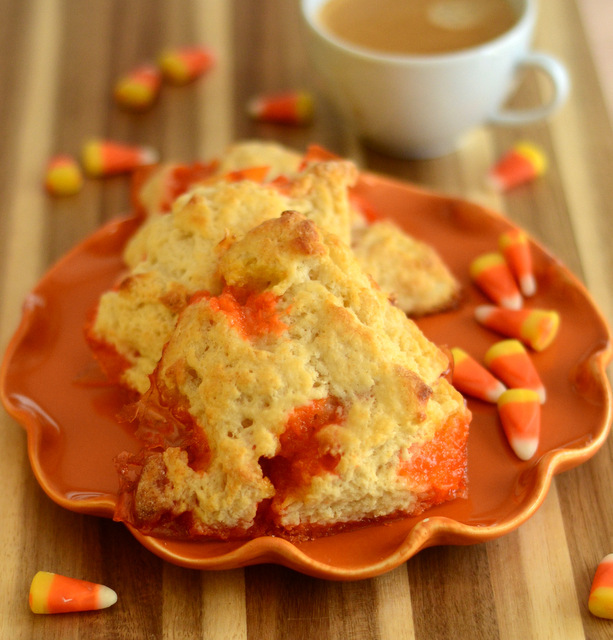 If you’re a candy corn fan, too, this recipe for Candy Corn Scones offers up an unusual way to get a fix. The base here is a simple buttermilk and vanilla scone recipe. To achieve a flaky texture and a nice rise, butter is cut into a flour mixture, then buttermilk is stirred in to bind the dough together. The slight tang of the buttermilk creates a nice contrast with the sweet candy corn that are kneaded into the dough before baking. The candy corn will melt during baking, turning into a colorful caramel on the baking sheet around your scones. They’re really not designed to withstand extreme heat. That said, they still infuse the scones with a honey and vanilla sweetness, as well as leaving behind plenty of bright white, yellow and orange streaks. The candy corn that are on or near the surface of the scones will melt a bit more than the ones inside the dough, so feel free to tuck the candies away inside where they will remain more easily suspended in the scone. These scones are fun to look at and fun to eat. The candy corn is sweet without making these cloying, and the buttermilk gives the scone dough a nice base. I do recommend lining your baking sheet with parchment paper to minimize sticking. Let the scones cool on the paper. Any candy corn that has melted will crystallize and the colorful shards can easily be broken off to release the scones before serving. 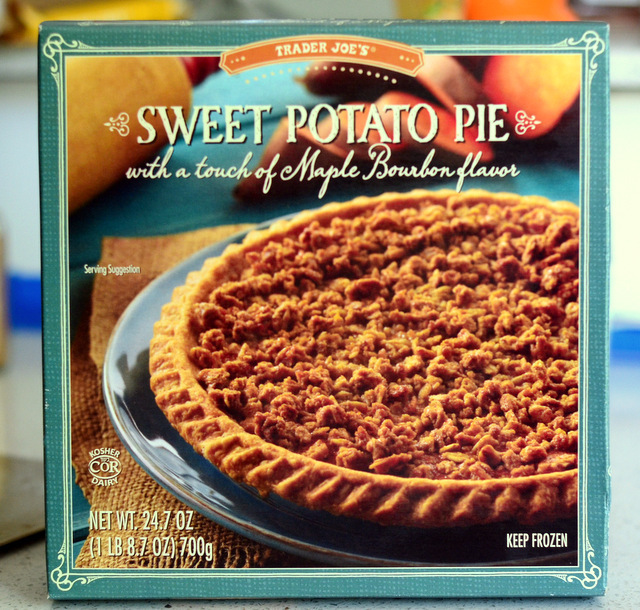 In a large bowl, whisk together flour, baking powder, salt and sugar. Add in the butter and toss to coat. Rub butter in with your fingertips or cut in with a pastry blender until butter is in pieces no larger than a pea. In a small measuring cup, stir together buttermilk and vanilla extract. Pour into flour mixture, along with the candy corn, and stir until dough comes together in a coarse, not-too-sticky ball. If mixture is too dry, add in a teaspoon or two of milk. If mixture is too wet, add in a few teaspoons of flour. Transfer ball of dough to a lightly floured surface, divide in half and shape each half into a square. Cut each square into quarters by making a diagonal cut from corner to corner. Place the triangles of dough on your prepared baking sheet, allowing room for them to spread slightly. Bake for 14-16 minutes, until golden and set. Transfer to a wire rack to cool before serving.